The character will be available for free if you pre-order the game or buy it within 30 days of its release. 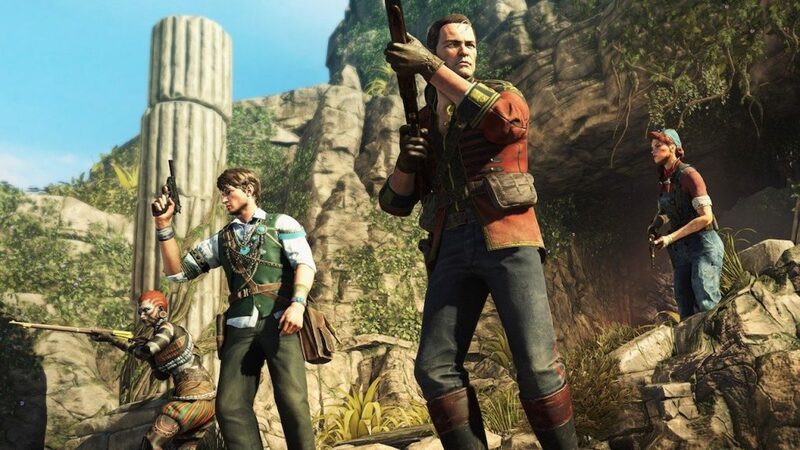 Rebellion Entertainment has steadily been revealing new details about Strange Brigade, their upcoming co-op centric Left 4 Dead inspired shooter-action adventure hybrid. The game is set to release within just a few days, and with that date looming so close, developers Rebellion Entertainment. have released a brand new trailer for the game. Other than giving you a glimpse of gameplay (obviously) and Strange Brigade’s curiously unique setting, the trailer also introduces a new character. First of all, the trailer portrays tge adventurers from the brigade go up against various mummies. You can also see the different characters making use of their special abilities in battle, and also some of the different weapons that you can find the game. The trailer then also introduces a new character called Winston Bey, who will be free for a limited time only. This character will be available for free to all those who pre-order the game, or buy the game within 30 days of its release. We’re guessing that after this period, the character can be bought separately as DLC. You can check out the new trailer below. Strange Brigade is set to release for the PC, PS4, and Xbox One on August 28. For more info on the game, head over to our Strange Brigade wiki page.